A few years back, I was looking to find some unorthodox sheet music to place on my wall, hoping to perhaps satisfy some unapologetically superficial aspect of my addiction to music. The first composer I went to was John Cage. I hoped to find a score for 4’33”, which I probably planned to only display a couple of pages in the middle to really confuse people. Impatience getting the better of me, I settled on another piece that, at a brief glance, appeared to be almost as minimal. Though my quest ended up shooting itself in the foot, as my eyes kept running over the little changes in the piece – even when abstracted by the omission of the opening closing passages – and I couldn’t in all honesty make the kind of extreme gesture that I wanted to (admittedly, just on my bedroom wall). My love of post-rock should’ve properly expected this – most successful minimal music is often frighteningly complex. 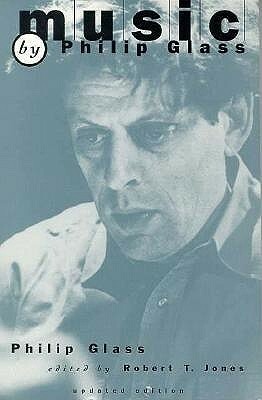 Such is the way for world renowned contemporary-classical composer Philip Glass, the focus of the documentary being shown this week as a part of Outside-in cinema: Glass. The film follows the composer over a twelve year period, giving a very humble and intimate portrayal of the man. 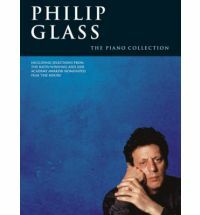 For a more technical examination of the machinations of his musical mind, the book Music by Philip Glass could be a good second stop-off. And then, to draw him into context amongst his peers, Four musical minimalists, which also looks at La Monte Young, Terry Riley, and Steve Reich. 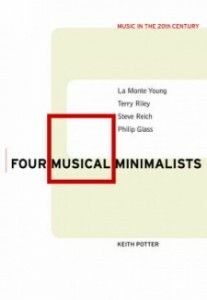 But if all you want is Phil’s music, then this collection of works for piano should do the trick. Other titles, as always, will be available for browsing at the screening.